We were in the breakfast room by 8am all dressed ready for the trek. Yves managed to sleep in! By 8.30 we were away in a van to the other side of the island to save us sailing time in the boat. 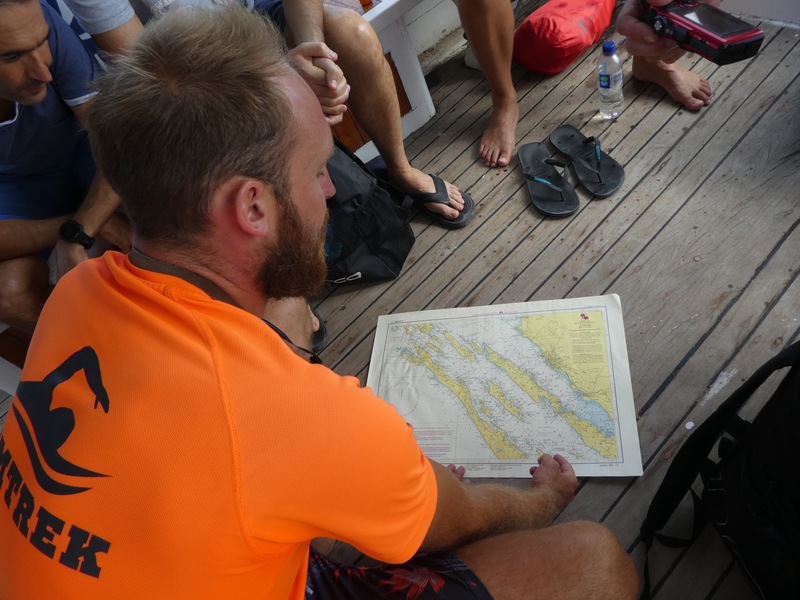 We headed off with all the gear around us and Ricky gave us the briefing which explained the swims for today. I was getting nervous. The first swim was to be 5 km. Along some coast line and at least 3 crossings from island to island. This can be hard. A few pointers were given on efficiency in stroke and vasoline applied to areas that could suffer from chaffing. Then it was in the water and off . The first part seemed long and hard then we got into a rhythm. We swam and swam and finally reached the end. It was about 5.3 km. Probably my longest swim in one hit! Feeling chuffed! 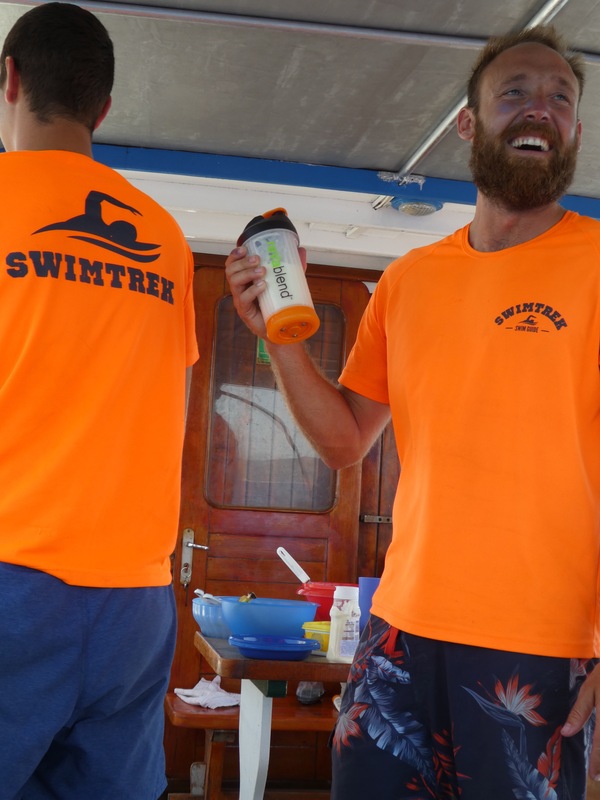 We enjoyed lunch on the boat prepared by Ricky and Neil and even made smoothies in the Revablend. It’s a new gadget that blends without electricity. It hand powered. Our friend on the trip Dan Garr has invented it. It’s was fantastic. By the end of the day we had swum 7.2 km. I was tired. We had a few drinks, dinner and fell into bed. Tomorrow is another day and another 8 km. Amazing achievement! Well done Fran!